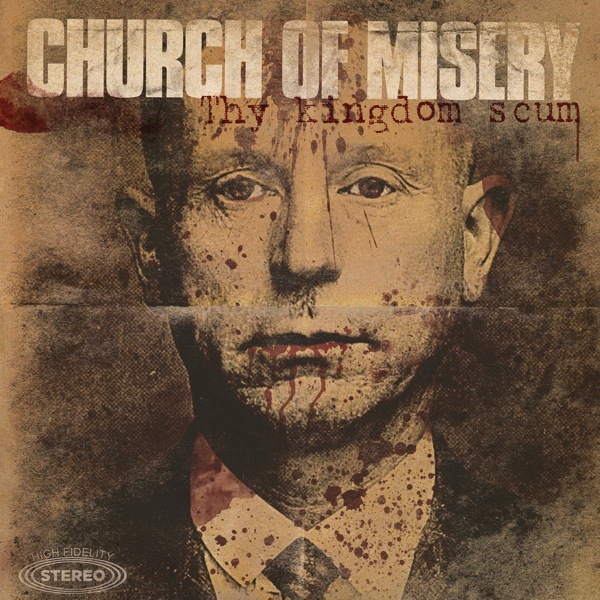 After a gap of four years since the release of their previous album ‘Houses Of The Unholy’, Japanese doom metal band Church Of Misery came out with their fifth studio full-length effort ‘Thy Kingdom Scum’ on June 11th via Metal Blade/Rise Above Records. Paying homage to classic Black Sabbath under the guise of tunes based on serial killers and mass murderers, this album is quintessential stoner doom rock with massive heavy riffs and sweet solos played out of crisp-sounding guitars, a dirty low-end on the bass, drumming that’s reminiscent of Bill Ward’s early years in Sabbath, and gruff vocals that blend well into the music. The band has been known in the heavy music underground circles ever since they started out in 1995, but in America they maintain a cult following, the entirety of which must be pleased with the music on this new album. The five-member lineup has varied over the years, but the band’s quality remains constant. ‘Thy Kingdom Scum’ has seven tunes that are undeniably repetitive in nature, and on each of them the band keeps playing certain passages over and over until they drive their point across. For stoner doom fans, this is an excellent release and one of the finest albums of 2013.